Nancy Atkinson-Turner owns Macchina Club, an exclusive supercar club. 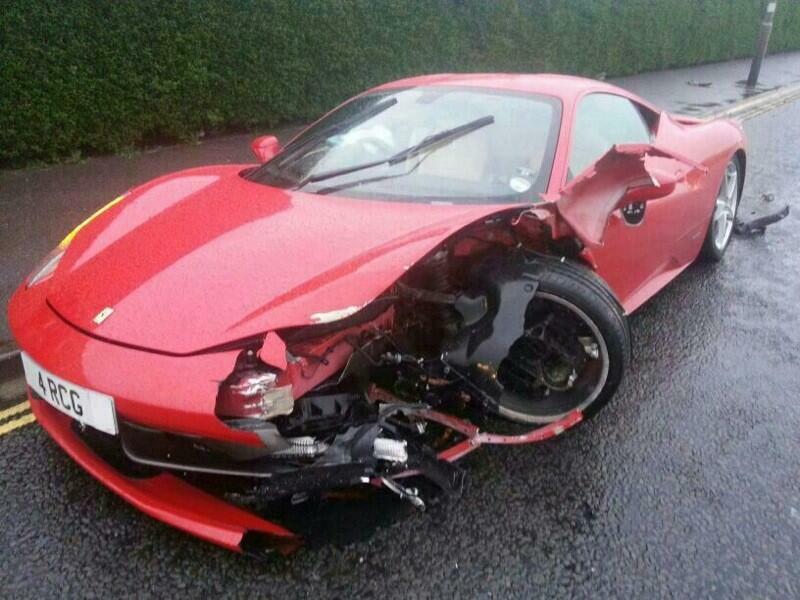 Nancy posted these photos of a destroyed Ferrari 458 (not owned by her or a member of Macchina) on Twitter yesterday. The car was being driven by a valeter (car cleaner) who must have decided to turn the traction control off and have some fun. 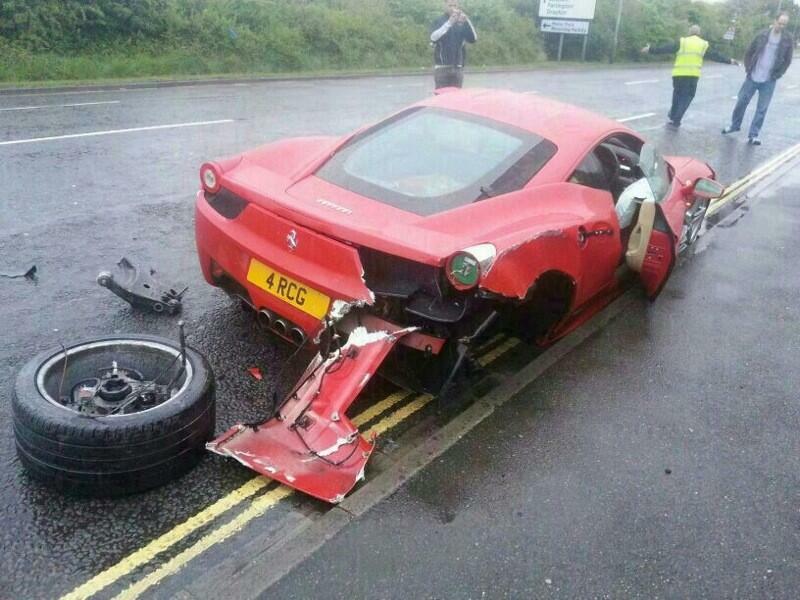 The roads were damp and his talents behind the wheel obviously limited. The incident happened in Portsmouth. We don't know who the valeter was because Nancy is too discrete to say, but she did say she won't be using him again. Here's what the 458 looked like before it was crashed. 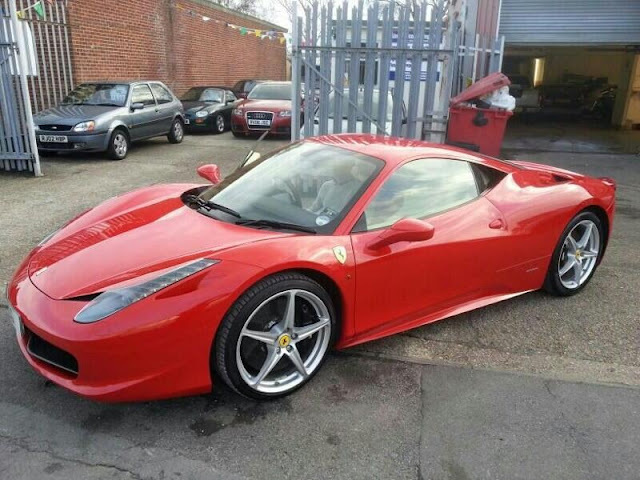 £180k worth of Ferrari down the pan.